A motor vehicle accident can have life-altering consequences. While even a minor collision may cause you to miss days from work as your vehicle is repaired, a serious wreck can result in debilitating injuries, costly medical bills and an inability to earn a living. 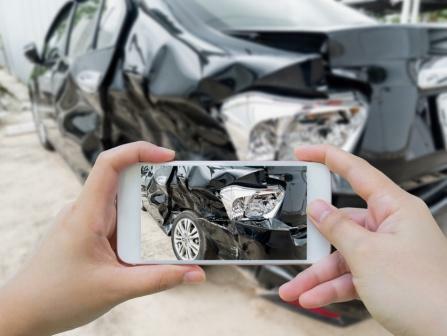 If you’ve been hurt or lost a loved one in a crash, you need a trusted law firm that will aggressively protect your rights and pursue the justice and compensation you rightfully deserve. The experienced attorneys at the Law Offices of Gary Bruce have successfully helped injury victims throughout Southwest Georgia and Alabama for more than 25 years. To discuss your case for free, please call 706-596-1446 today. Whether you are from Columbus, Fort Benning, Phenix City or another nearby community, we want to hear your story. Contact our accident attorneys for a free case review! The devastating impact of these types of accidents cannot be overstated. As a lawyer who has been fighting on behalf of personal injury victims for more than 25 years, Gary Bruce has seen the catastrophic impact these situations can have on the lives of innocent victims. He has seen severe injuries leave people hurting, unable to work and frightened about the future. Our firm will work tirelessly to ease your burden and handle every aspect of your case so you can focus on healing. When considering the ramifications of a serious accident, there is more than just the physical pain you may be enduring; your entire life may be altered. Don’t trust insurance companies to correctly evaluate the impact an injury can have on your life. Our experienced attorneys know how to accurately value your claim, and we will fight aggressively on your behalf for the full and fair compensation you deserve. The military personnel and families of Fort Benning are highly valued and respected members of our community. It is our honor to help service members at home and abroad with their legal needs. We frequently work with the Judge Advocate General office of Fort Benning to protect our client’s rights and coordinate health care benefits. If you live on Ft. Benning or Ft. Mitchell, or in Columbus or Phenix City, we want to hear from you. We understand that your schedule may require special planning, and we are happy to work with you to find a convenient time and place to meet. Contact the Law Offices of Gary Bruce today to learn more about our legal services for military families. If you or a loved one was seriously hurt in an accident caused by the negligence of someone else, please call the Law Offices of Gary Bruce today at 706-596-1446 to discuss your case for free. We welcome clients in and around Columbus and Fort Benning, Georgia, as well as Phenix City, Alabama, and surrounding areas.